Hamilton Glass builds shower and bath enclosures from Alumax Bath Enclosures by Sapa. Besides preferred durability, this manufacturer has a vast selection of color and glass options. 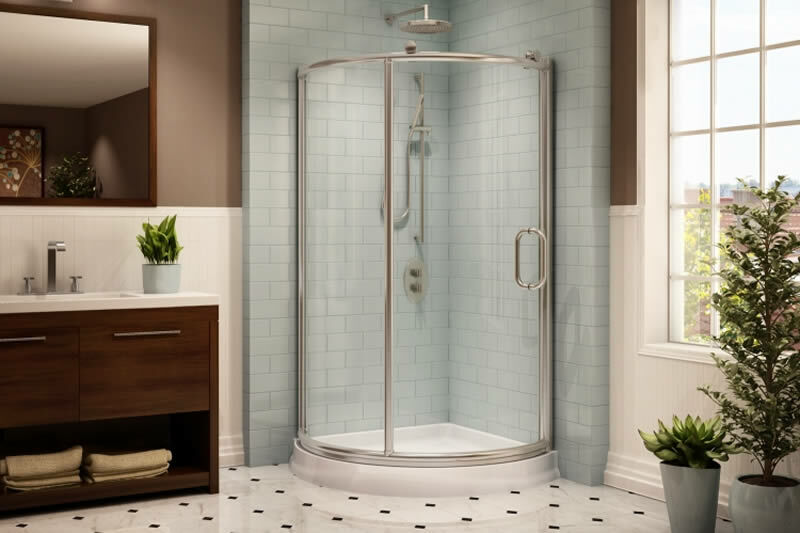 Ask our installers about Guardian Showerguard Forever Beautiful, a permanent solution which seals the surface of the glass and preserves a new glass appearance for years to come. From the smallest bathrooms and shower stalls to elaborate designs, hotel bathrooms, spa showers, and much more, we can work with any layout. We install clear or frosted glass enclosures that retain heat and moisture while being easy to clean.